Grujic apiary was established in 2000. with the aim to start the production of medicinal products from the bees. Our motive is primarily PRODUCTION OF HEALTH, both for ourselves and for all the good people who appreciate the bee and all its products. In this work we are constantly improved, so that today we use the last word of modern beekeeping. Bees are constantly, throughout the season, moving from pasture to pasture, so that our products allow customers the get highest quality, purest and most healthy bee products. Bees are first prepared in Bukovac, after which we move them to the slopes of Cer, afther that to the Cer it selfe where we collect Acacia honey. After that we moves to the Fruska Gora, where bees collect “Best of Vojvodina”, ie. Linden honey. After a Linden pasture bees starts to collect meadow honey. Afterwards, as it gets closer to the end of the season, beekeepers are performing a light preparing of bees companies for winter. Besides honey, the bees successfully collect pollen, propolis and royal jelly.The users of our bee products have availability to the whole range of medicinal products. Honey is popularly used to treat various diseases since antiquity. 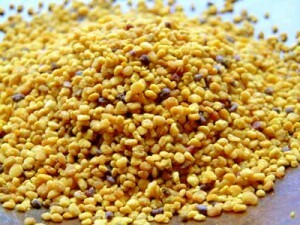 I took it as a cure for many diseases and conditions such as hair loss, eye disease, problems with digestion, and so on. 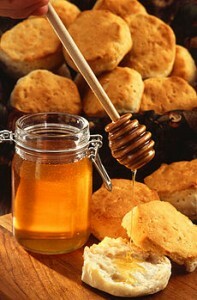 Most of the positive effects of honey on human health resulting from its antimicrobial abilities. Most bacteria and microorganisms can not grow and reproduce in honey because honey contains a little acid, and does not provide water and oxygen. Even honey, water classes encourages the growth of bacteria, but bacteria that are good for humans, with those kills dangerous. In addition, honey contains an ingredient called glukooksidaza, which combined with water and oxygen generates hydrogen peroxide, which is remarkable antiseptic. In practice, this means that local honey can be put on the wound because it encourages early recovery, and its antibacterial properties prevent infection. Acts antiinflammatory, reducing swelling and pain, reduces scarring, and proved to be excellent in the treatment of burns and surgical incisions, and skin softening. That honey is medicine “from head to toe” shows that used in the treatment of inflammation of the eyelids, conjunctiva, and some types of keratitis, and the athlete’s foot and other fungal infections. You can not, not to use it! Pollen is a mixture of proteins, fats, minerals, carbohydrates, amino acids, enzymes, essential oils and vitamins: Aneurin, riboflavin, nicotinic acid, pyridoxine, pantothenic acid, folic acid, biotin, tocopherol, ascorbic acid, calcipherole, carotene and routine. As determined to be in flower powder is 20, of the 23 known amino acids. Content-related proteins in amino acids, which are identical to the type of free amino acids, the following: cystine, tryptophan, alanine, serine, threonine, proline, valine, lysine, arginine, histidine, glikokol, glutamic acid, phenylalanine, leucine, isoleucine. Hromotografskom method also showed that lipids consist of floral powder free of saturated fatty acids, as follows: palmitic, myristic and lauric acids, trace monoglicerida and unsaturated fatty acids and triglycerides. Of bioactive substances have been proven mineral Ca, Fe, P, Mg, Co, and in some types of pollen are also hormonal substances. 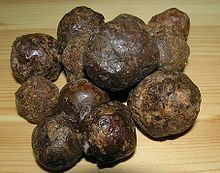 Propolis is a medicinal product of honeybees. It works against viruses, bacteria and fungi, and drug experts say it 21st century. Why? Because the bacteria against him can not create resistance, and also has no harmful side effects, which is a disadvantage of synthetic antibiotics. 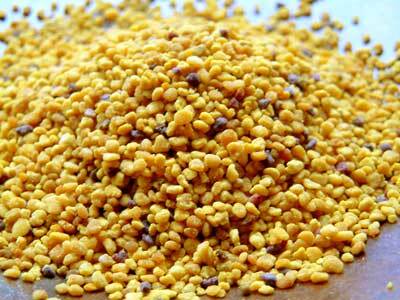 In medicine, propolis is used as medicine for various diseases and conditions. It is perfect for the treatment of anemia and respiratory disease, cherishes the mouth, is used in dermatology, strengthens the immune system, it is well demonstrated in the treatment of infections of the fraud, protect the liver … Course is used in cosmetics because it affects the rapid regeneration of tissues and has antibacterial and antifungal activity. The chemical composition of propolis is not yet fully understood. Propolis is distinguished by color, scent and healing properties, depending on the composition and the season. It is known that propolis contains a variety of resins and similar substances resins, balsams and essential oils, wax, pollen, flavonoids, minerals and so-called plant hormones. The propolis they include flavonoids: galangin, quercetin, Križine, kaempferol, apigenin, pinocembrin, pinobaksin. Royal jelly is extremely nutritious, thick, creamy, milky liquid, characteristic odor, sour and slightly bitter taste. Worker bees produce royal jelly of floral nectar, pollen and water secretion by their glands. Tim jelly they feed larvae of worker bees and drones of the first day of their lives, while the queen of food during the entire period of development and beyond. The most commonly used jelly extracted from lemon balm, so called royal jelly. The main ingredients of royal jelly are: proteins, vitamins, hormones, fats, sugars, water, amino acids and more.